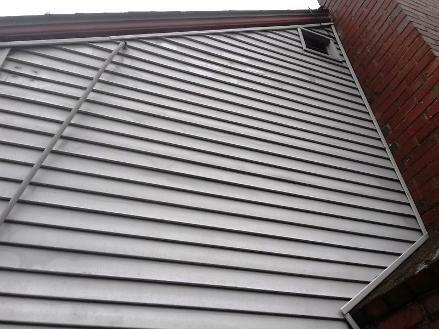 A Fine Reflection-Window Cleaning Services . 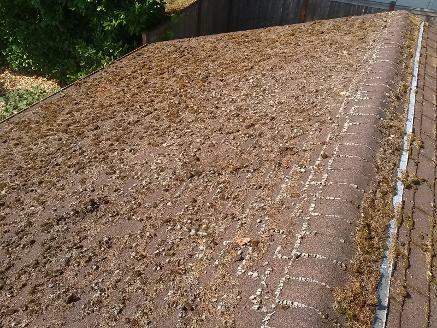 Please note the ineffectiveness of the zinc strips. 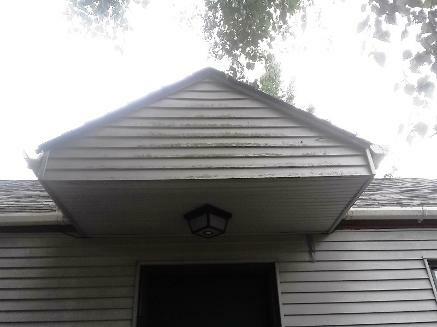 A post cleaning application of zinc sulfate, (moss treatment) is visible in image on the right. 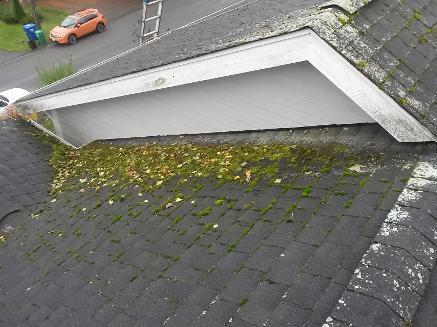 A moss treatment can significantly deter future moss growth. 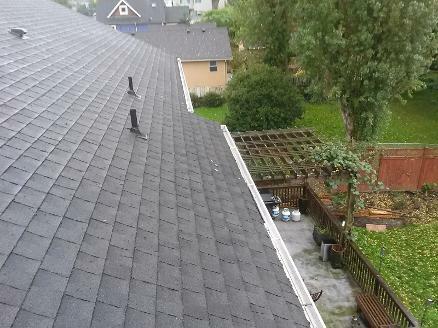 Here are some more pictures of another Seattle roof cleaning by A Fine Reflection Roof Cleaning Services. 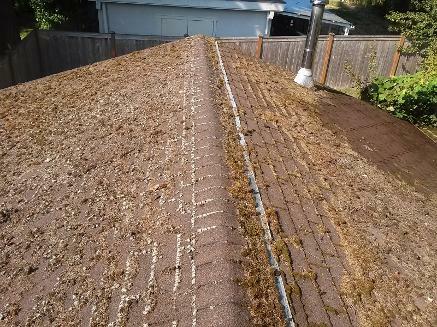 A moss treatment was applied the the roof, post cleaning. 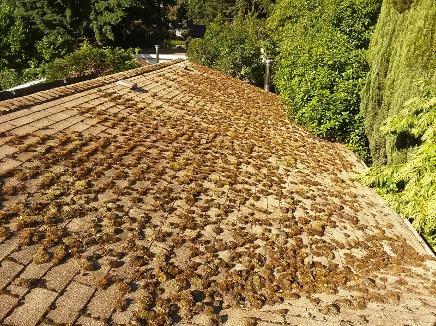 This will help deter new moss growth for a period of time. 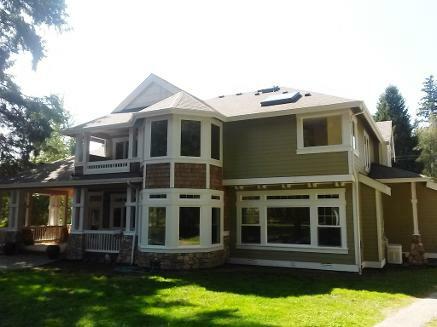 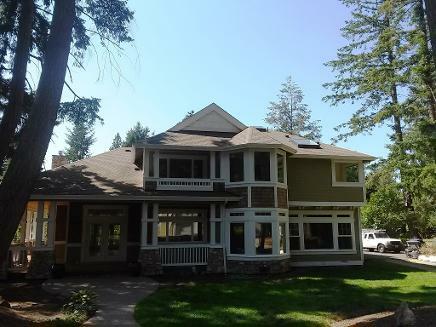 Here is a window cleaning project done on a home in the Redmond Ridge neighborhood where A Fine Reflection's Window Cleaning Service cleaned the windows inside and out to perfection. 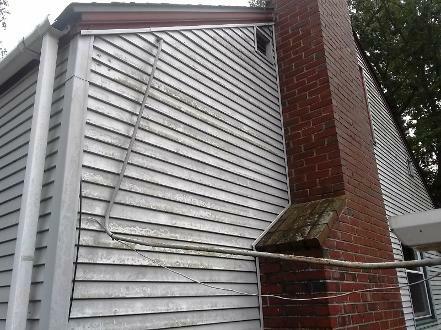 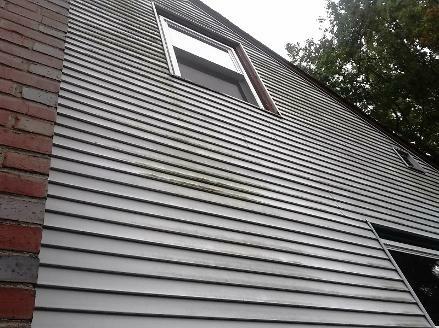 A Fine Reflection's Window, Roof and Gutter Cleaning Service also cleans many types of siding. 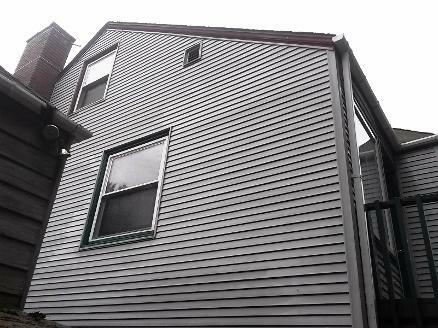 Below are pictures of house washing/siding cleaning project where the vinyl siding needed cleaning from algae and accumulated dirt. 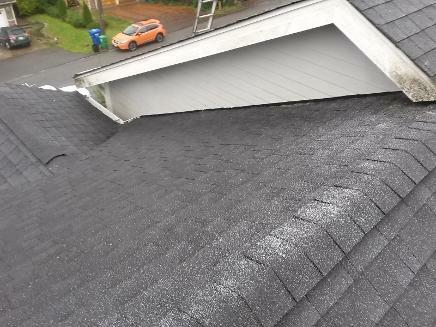 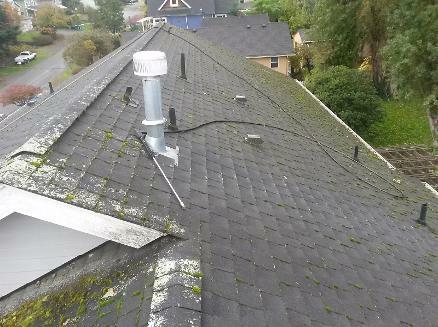 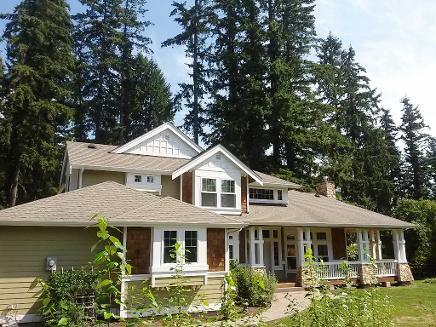 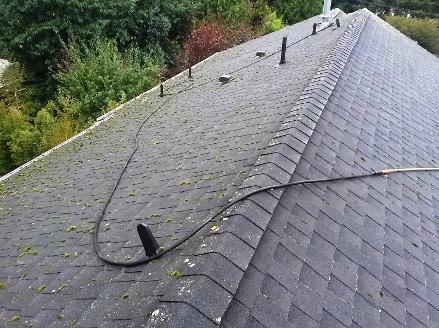 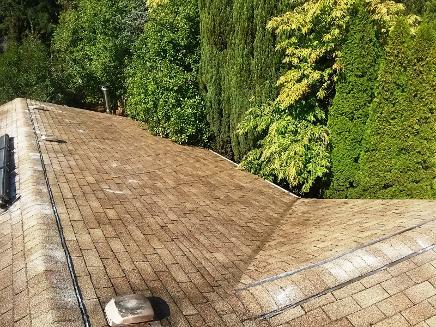 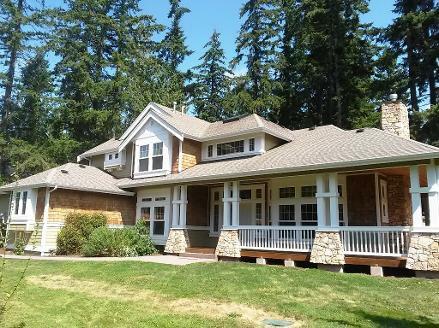 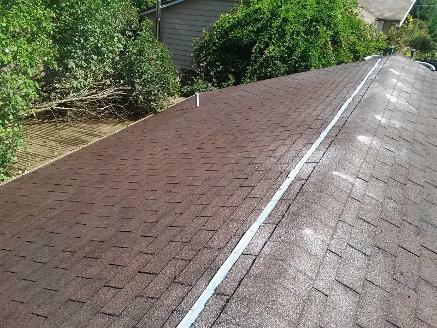 Here is a roof cleaning that we did in the Haller Lake area of Seattle. 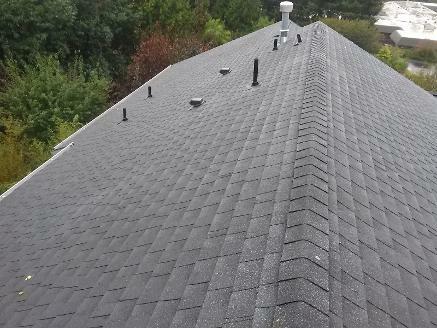 This roof was long overdue for a cleaning. 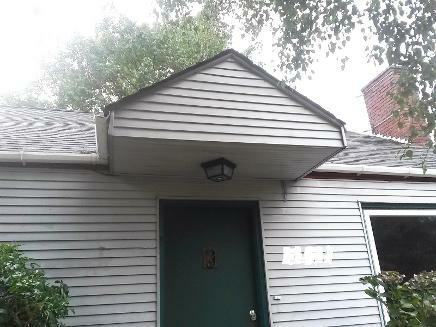 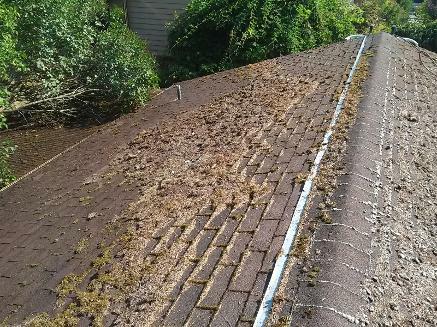 A Fine Reflection's roof cleaning services can make a difference in the longevity of the roof by keeping the debris off and moss control seasonally applied.